Summer on campus might not be quite as crazy as during the school year but that doesn’t mean that there aren’t some great things you can do on campus. And as incoming students, it gives you a great chance to get acquainted with the campus layout and resources! Below are some of my favourite suggestions to enjoy campus for the rest of summer. This looks like the perfect spot for a picnic. Located straight in front of the Vari Hall, the Commons are the perfect place for a summer picnic. Bring a light blanket and some food with you, or even better stop quickly in York Lanes to grab your favourite take out. Find a spot and enjoy! On public viewing nights, visitors are able to observe selected celestial objects in the presence of friendly staff, in addition to engaging in various on-hand presentations. The observatory is open regardless of weather conditions, even though viewing through the telescope is limited to clear skies. If it’s cloudy, drop in for a slide show and a tour featuring both of our telescopes. 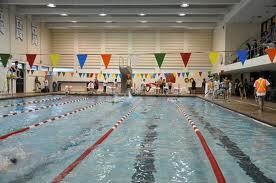 The pool has lane and recreational swimming available year-round. Once you have your YU Card, you can get a basic gym membership for free which includes access to the swimming pool. For $15 you can also access the fitness centre for the year! However swimming is perfectly suited for the summer, so why not drop by for a recreational swim on the weekend? The shiny entrance of York’s Bookstore. It might be too early to get textbooks, but you can still stop by the bookstore to stock up on some York swag. The bookstore features a wide variety of merchandise ranging from clothing, backpacks, mugs, keychains, and much much more. Some of the products are even branded for family, so you can help them show of your York pride too! Some photography captured at Stong Pond. Many of you have probably gone on some tours on campus and while you probably hit most of the important locations, there are plenty of hidden gems that are worthy of being searched for. So why not make a day trip to campus, bring your camera, and do some good old fashioned exploring? You can see where your classes will be, finding useful nooks for studying, and scan out the most beautiful spots on campus. I’m really drawn to Stong Pond but I also love looking at the Life Sciences building. Why don’t you see what you can find? It’s also a great way to share your experience with family and friends as they aren’t always able to make it to campus and see these spots for themselves.